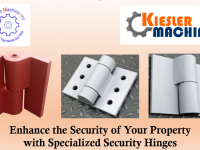 Why Choose Security Hinges for your Bedroom – Kielser Machine Inc. If you ask a home owner about security, he will probably tell you about the security doors at the front doors, the home security system, and maybe even motion detectors. But what about the bedrooms? This is the private space for your family, and this needs to be secured as well. This can be done by simply replacing your present door hinges with industrial security hinges. 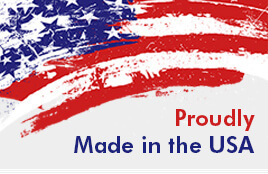 Why Use Industrial Security Hinges for Your Bedroom? The hinges are designed to make the door swing inwards. This means that the hinges are not exposed to the exterior. Hence, in case of a burglary, the robber cannot mess with the hinges to enter. With the door swinging inwards, it is easier to exit the room and the house in case of a fire. These two simple points can help you understand that using security hinges can ensure the safety of yourself and your family in a crisis situation. What are the Best Kinds of Security Hinges for Bedroom Doors? Type 304L Stainless Steel Hinges: This alloy is a type of austenitic steel, with a combination of 8% nickel, and 18% chromium. Type 304 is the most versatile alloy in the stainless steel family. It has immense resistance to organic acids, corrosion, and oxidation. 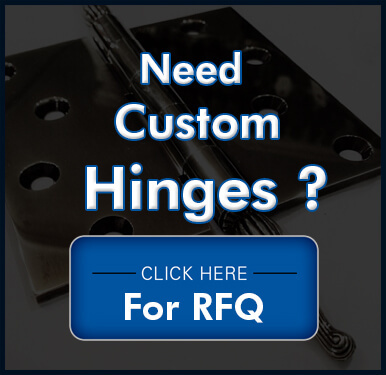 Hinges can be easily formed, fabricated, and welded using this alloy. It is widely used for industrial applications, hence, 304l stainless steel hinges will provide the durability and security that your family will need. Type 316L Stainless Steel Hinges: Type 316L stainless steel is known for its immense strength, and manufacturing versatility. It can be formed easily, and is particularly useful for creating heavy gauge welded hinges. 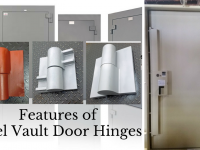 These hinges can also be used in high stress environments. By simply changing the type of hinges for your bedroom doors, you can increase the security of your family to a great extent. 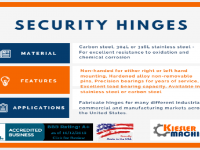 If you want to know about other types of security hinges, you can read this post.